By the end of the summer, many cities may need to implement drought plans and begin mandatory water restrictions. These restrictions could limit landscape irrigation to 2 days a week or less. Prepare now by acclimating your landscape to the recommended or mandatory conservation practices. Many drought plans have stages and each stage adds more requirements to conserve water. No matter what stage of restriction your city is in, there are numerous things you can do to prepare and help your landscape survive a drought. Drought is simply defined as less than normal precipitation based on a 30-year average. Droughts are classified as long-term, lasting for several months/years; or short-term, lasting several weeks. Since water use increases anywhere from 30 to 60% during the summer, there are many opportunities to conserve water in a landscape with efficient irrigation. 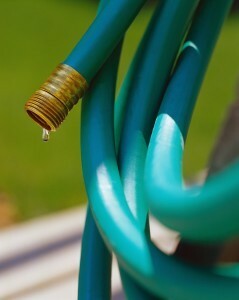 Make immediate and long-range plans to conserve outdoor water. New irrigation technologies and other water-conserving landscape practices allow landscape water conservation to be easy, affordable, and rewarding. Properly designed water efficient landscapes need one inch of water per week. Many homeowners water their landscape two or more times a week which can damage the landscape by supporting a shallow root system. Frequent watering produces shallow roots – infrequent deep watering will produce deeper roots. Deep roots have water available for an extended period of time. The conservation and landscape practices outlined in this section of ROCKMGA will provide guidance to keep your landscape alive during a drought.